Nurse Practitioner (NP) – will provide primary care services in the clinic or in the home setting. An NP promotes good health and helps you maintain a healthy lifestyle by performing physical check-ups, providing education and information, diagnosing and treating illnesses and injuries, and more. Aboriginal Patient Navigator – will help clients find their way through the complex hospital care system by identifying barriers to care, helping you understand and complete forms, and linking you with other services like follow-up appointments or Traditional Indigenous Healers. In the London area, the Seniors’ Health Advocate will advocate on your behalf to make sure appropriate contemporary and Traditional health care services are in place. They will help you to access community and social services, and to develop a health care plan for yourself. 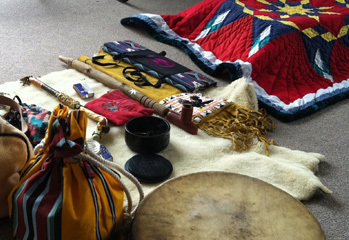 Similarly, the Traditional Healing Liaison will ensure you have access to culturally safe care and increased familiarity with cultural and Traditional knowledge and Indigenous perspectives. Call your preferred location to book an appointment or to discuss your needs.